YOU GUYS. I’m actually dying over how good this recipe is. 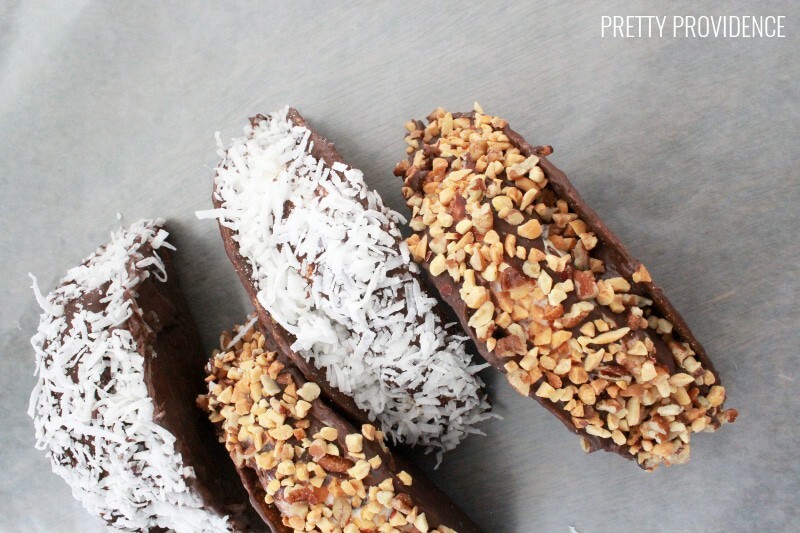 I can’t explain it in words, you are just going to have to try these incredible ice cream tacos. They are surprisingly easy to make and if you make them for a special occasion (say, the big game day coming up next week!?) people will be so impressed. That’s a promise. 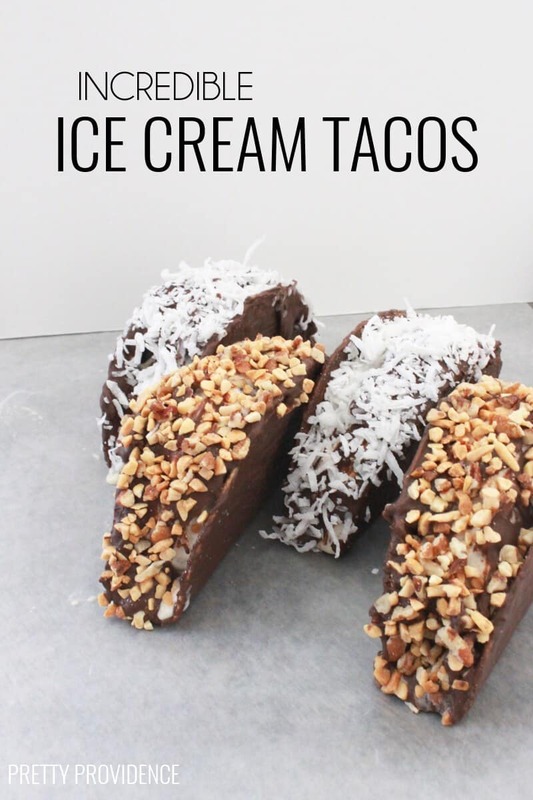 The shells are actually Old El Paso™ taco shells covered in chocolate and then you can really use any kind of ice cream and topping to take these to the next level. This post is going to be photo heavy because the recipe/tutorial is easier to show than to explain, but let’s dive in! Step 1: Melt chocolate. I highly recommend using a fondue pot for this if you have access to one, because it keeps the chocolate melted, temperature regulated and you don’t have to worry about your chocolate hardening. Using this has changed my chocolate melting life! 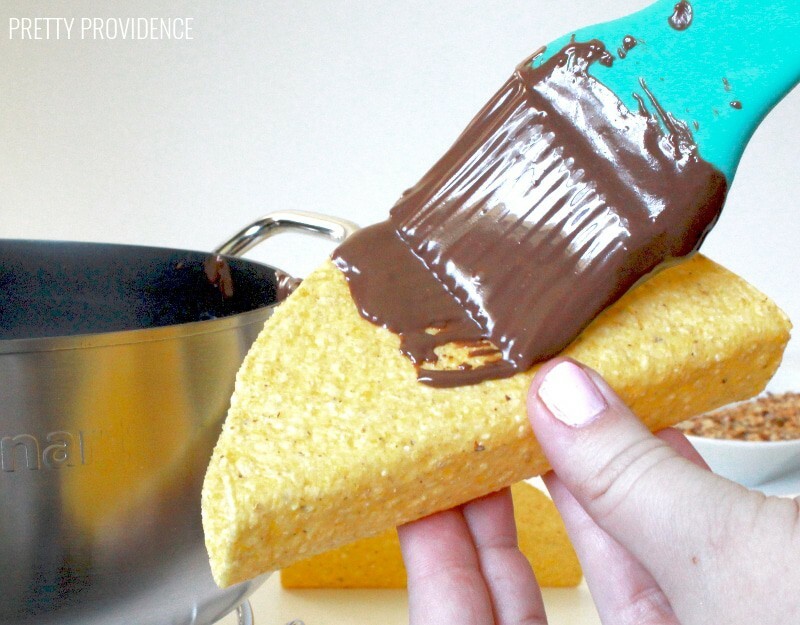 Step 2: Brush melted chocolate onto the outside and inside of your taco shells and place them onto a cooling rack and/or parchment paper. I love these stand n’ stuff shells I got from Randall’s. Step 3: Slice your half gallon of ice cream. Yes, slice it. Cut the width of your taco shell. Once you have a slice, cut the slice in half and you will have two slices of ice cream that will fit perfectly inside the taco shell. It’s easiest to do 2-4 of these at a time, put them in the freezer and then do more. You don’t want to let them get too melty while you finish the batch. 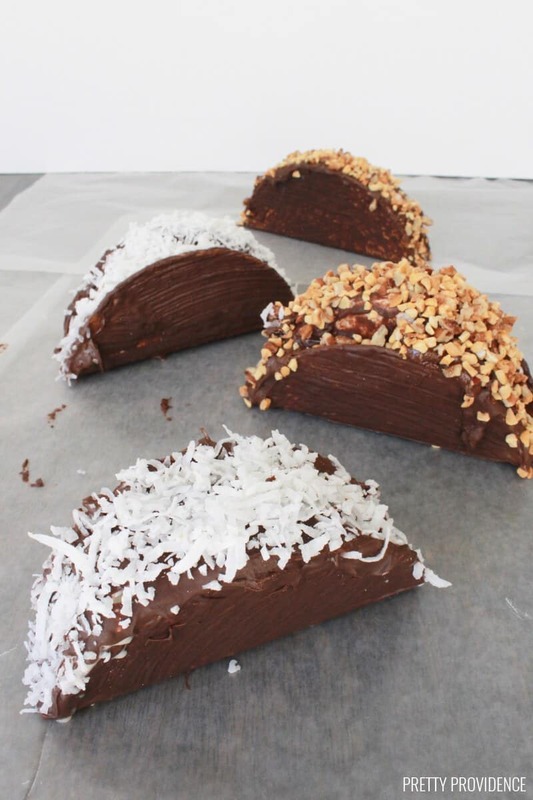 Step 4: Cover the top of the tacos with melted chocolate and sprinkle chopped nuts, shredded coconut, or other topping on top of that. This seals in the ice cream and also it’s delicious. Step 5: Keep them in the freezer until you’re ready to serve. Little tip: serve them wrapped in a square of parchment paper or a ziploc bag. 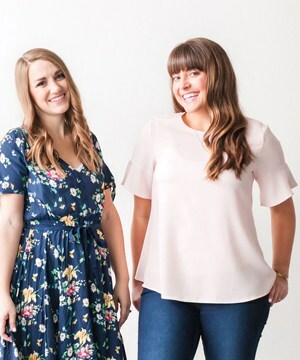 These tend to get messy (like any tacos!) and it’s better if there is something under it to catch the delicious crumbs. 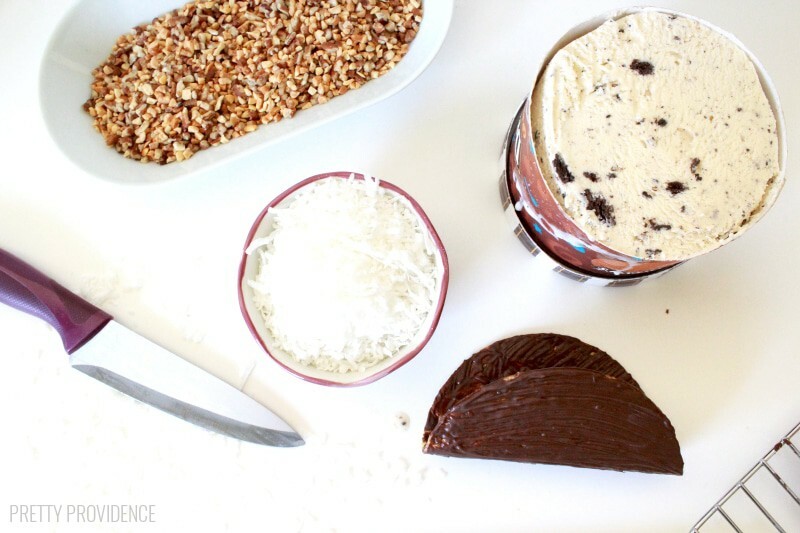 This recipe yields 10 ice cream tacos. See? 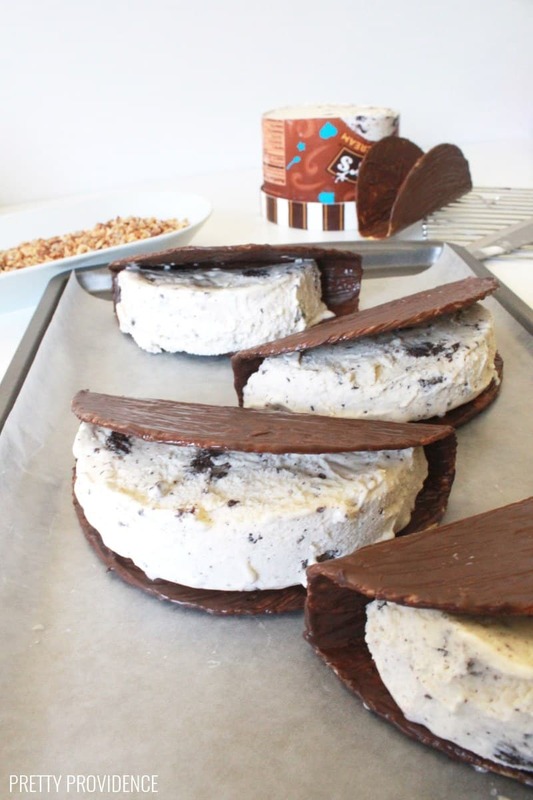 These are really so easy to put together and you can use any ice cream and any toppings to really make them your own. I think you should add them to your game day menu right now, and head to Randall’s to get the stuff! 1 cup chopped peanuts/pecans optional! 1 cup shredded coconut optional! Melt chocolate. I highly recommend using a fondue pot for this if you have access to one, because it keeps the chocolate melted, temperature regulated and you don't have to worry about your chocolate hardening. Using this has changed my chocolate melting life! 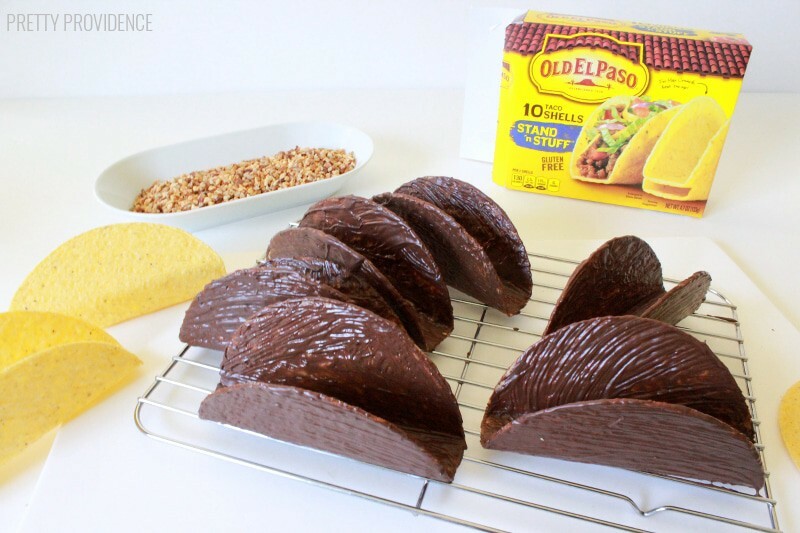 Brush melted chocolate onto the outside and inside of your taco shells and place them onto a cooling rack and/or parchment paper. I love these stand n' stuff shells I got from Randall's. Slice your half gallon of ice cream. Yes, slice it. Cut the width of your taco shell. 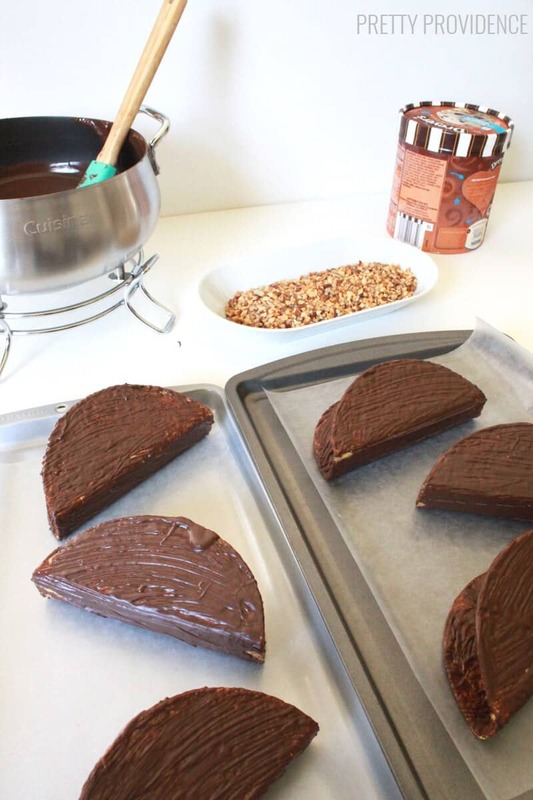 Once you have a slice, cut the slice in half and you will have two slices of ice cream that will fit perfectly inside the taco shell.It's easiest to do 2-4 of these at a time, put them in the freezer and then do more. You don't want to let them get too melty while you finish the batch. 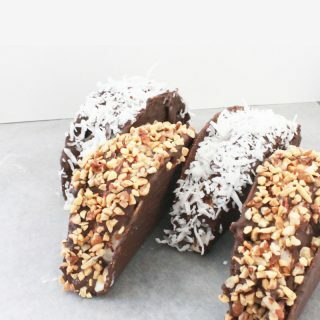 Cover the top of the tacos with melted chocolate and sprinkle chopped nuts, shredded coconut, or other topping on top of that. This seals in the ice cream and also it's delicious. Keep them in the freezer until you're ready to serve. Little tip: serve them wrapped in a square of parchment paper or a ziploc bag. These tend to get messy (like any tacos!) and it's better if there is something under it to catch the delicious crumbs.